Eggs are the perfect food. A perfectly designed serving of protein and fat can be cooked and manipulated in endless ways: soft pillowy egg pouches draped in an egg-emulsified Hollondaise sauce, sweet soy sauce boiled eggs stewed with chunks of braised pork, a fried egg perched atop a mountain of fried rice, soft scrambled eggs folded into creme fraiche, a perfect French omelette (still runny in the center), a soft boiled egg nestled in a bowl of ramen noodles. I could keep the list going because I love all the ways we can play with eggs…but I’ll get on with the story. I was up in Chiang Mai for the weekend and after an afternoon of walking and chatting, I realized my tummy had been neglected for too long. Usually in Thailand I opt for a quick meal on the street, but we happened to be in an area with very little food offerings. There was a woman sitting on the corner fanning a charcoal fire that cooked a grill laden with what looked like chicken eggs. Grilled eggs? I was intrigued. Never in my life have I had a grilled egg. It’s not even in my repetoir. Grilling is for meat and veggies, and occasionally fruit. Give me a grill and I’ll make you a great burger..but it wouldn’t even cross my mind to throw some eggs on the barby. I bought a few eggs, hoping to satiate my tummy with a bit of protein. I expected the eggs to taste pretty much like a hard boiled egg, only slightly infused with a smoky hint. I peeled the eggs and noticed the greyish, bubbly appearance. I bit into the egg, expecting to hit yolk…and hit only more greyish bubbly egg. Where was the yellow gooey center? The texture was smooth and inviting (more so than a hard boiled egg), but it was really the flavor that got me. I think I shrieked something to the effect: “Oh my god, you guys have got to taste this! !” spluttering grilled egg at the feet of my friends. The egg was perfectly seasoned–salt, pepper and chive. I wasn’t expecting such a flavor bomb, yet that’s exactly what I had just put into my mouth. I immediately pulled out my phone and texted a friend. He’s Thai, so maybe he would know how to make this item? Nope. He’d never even tasted a grilled egg. I stressed the importance of going out and immediately sampling one. I hung up and called one of my Thai girlfriends whom I cooked with in New York. Would she know the secret method to reproduce these magical egg gems? I had to know. She called me back that evening and told me the process. 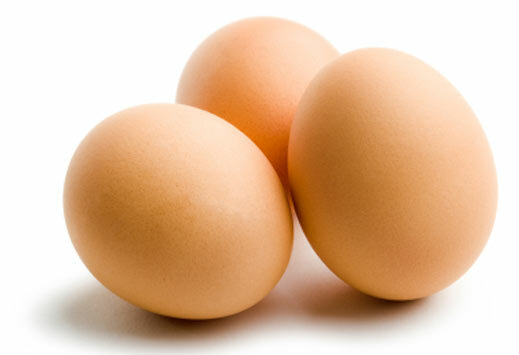 First, it’s necessary to empty the contents of the eggs into a bowl and season aggressively with salt, pepper and chives (optional), careful only to make a small hole in one end of the shell. Then, refill the eggs gingerly with a syringe. The cooking begins in the steamer, which is what gives the eggs the light, airy bite, and then finishes on the grill. Smoky tinges impart an earthy note to the eggs and the end result is fabulous. As an American who is both an avid eater and a professional cook, this egg revelation was pretty exciting. A simple ingredient that I’ve been cooking since I could stand on a stool in the kitchen was now something fresh and new. Sayonara scrambleds, I’m forsaking my saute pan for the grill! Thailand does that for me, offering something fresh and new at every corner. 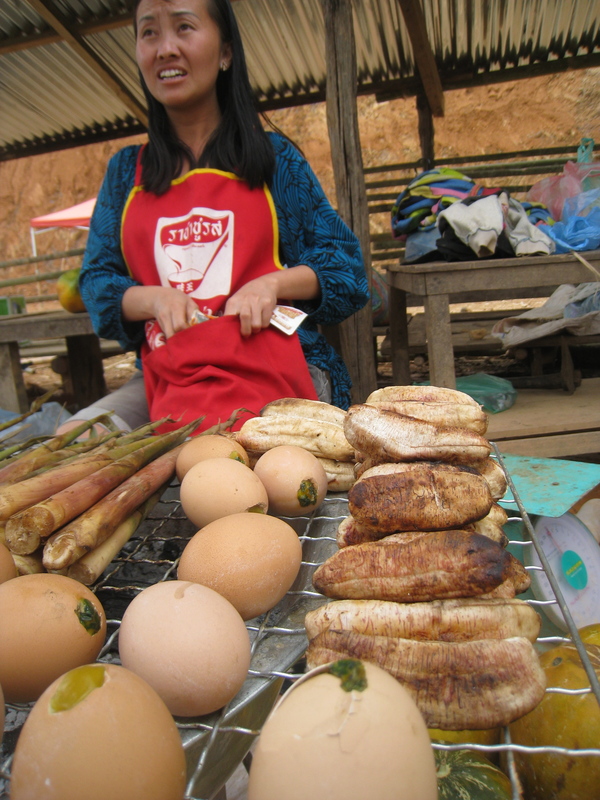 It offers a unique perspective on ingredients and food…and being a girl who travels the world in pursuit of a tasty bite, Thailand delivers it with gusto. A wonderful post and ashame I never found it in 2011 because these would of been part of my regular diet. 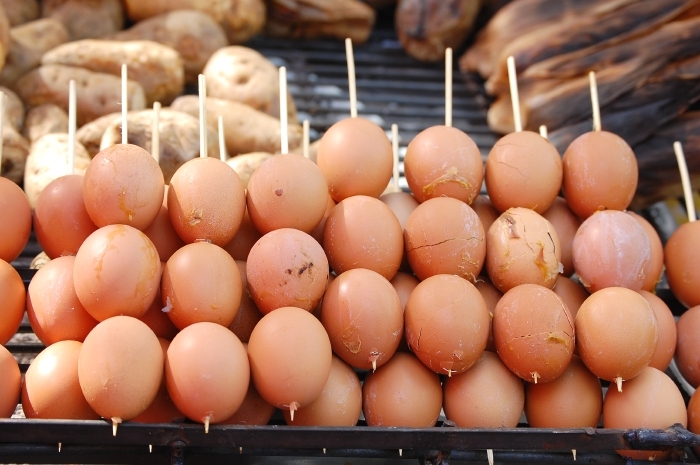 I visited Thailand for two weeks last year and unfortunately missed these because I rarely eat from roadside vendors – suffered food poisoning once from it, but my hotel did give me my first taste of grilled smoked eggs that opened my eyes to the wonderful world of these vegatarian delights. The hard boiled soy flavored, fried with rice and soft cooked in a soup bowl with noodles has been on my list since my travels to China but as you mentioned, there are about a dozen other ways to serve them for a meal or with it such as in a salad, ANGELed ( renamed from deviled because to me they taste heavenly ) etc. My personal fitness and health included sucking them down raw just for the protein but I used it as a chance to experiment with different ingredients to make it more of a beverage testing things from Bloody Mary recipes to new ones all the way up to mixing it with blended sugar banana cinnamon or cacao for a smoothie shake.